Home Politics Chavismo G.M.V.V. Chronicles, ctd. A fire is the least of the concerns for those stuck in La Rinconada. 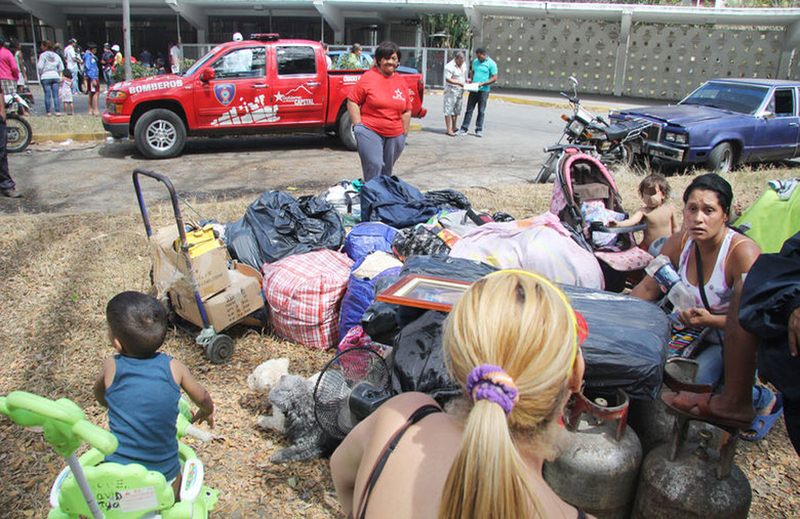 A fire broke out last week in the improvised shelter for displaced people located in La Rinconada, Caracas’s racetrack. After the fire was put out, the shelter spent two days without any electricity. Many families are still living in the racetrack’s main stands more than two years after they lost their homes by floodings in popular sectors of Caracas. The overall conditions of La Rinconada are dire: petty crime has taken over. Of course, the on-going damage to the premises have undermined the horse racing. The families have had documents entitling them to brand new homes (built by the Gran Misión Vivienda Venezuela program) since early 2012, but the wait in La Rinconada continues. According to Contreras, the shelter will be open at until next August. But first they have to prove to the Chavernment that the houses they lost during the floods were their own – no mean feat, in a country where property registries are iffy even in formal neighborhoods. Some of them were assigned to the new Ciudad Tiuna housing complex located inside the military base of Fuerte Tiuna, others to the Cacique Tiuna development just next to the race track that Quico chronicled last year. But that won’t be easy: most of the apartment blocks inside the fort were supposed to be done last year but, surprise, they’re late and the ones already delivered have multiple flaws, forcing the new residents to improvise their own solutions. Companies from Belarus, China and Russia are involved on the project, but their work has not paid off. For example, the Russians were committed to 42 buildings but they have only delivered two. A former worker says those two have “…water leaks, flaws in the stairs and walls, problems with the sewers and the gas system”. To make matters worse, part of the money for the project simply “dissapeared” in November. The Chinese had setbacks too. But Oil Minister/PDVSA President Rafael Ramírez (who’s in charge of supervising the G.M.V.V. program) remains optimistic and says there’s no reason the recent devaluation will affect the housing sector. Still, the rise on the prices of construction materials could not just influence costs, but the GMVV’s established goal of 380,000 houses for this year. At least one person got a house without incident: The 20-year old college student who was lucky enough to be the 4 million follower of @chavezcandanga Twitter account.